Opened in the summer 2013, the impressive MuCEM museum is holding an awesome, art exhibition about Pablo Picasso. 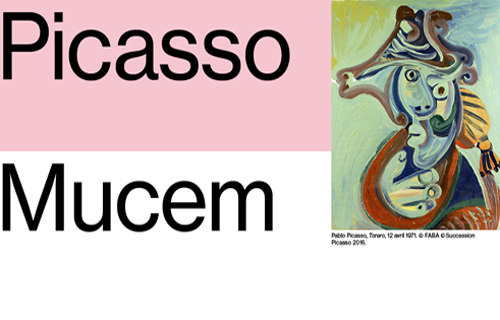 It will display 270 of Picasso’s works. The MuCEM stands for the Museum of European and Mediterranean Civilisations. This national museum in Marseille, France first opened in the summer of 2013. Between April 27 and August 29, 2016 the MuCEM museum exhibition is broken into four different sections. Each of these will mirror the masterpieces of Picasso. The famous artist’s works will be accompanied by various reference-objects from the museum. This exhibition was a massive undertaking and included contributions and partnerships with many organization and partnership, such as with the Musée National Picasso-Paris. In addition to viewing some of his most famous pieces, there will be other surprises and insights into his life. Pablo Picasso was born on October 25, 1881 in Spain. He passed away in Mougins, France on April 8, 1973. He was 91 years old. The Spanish artist had many talents. He was a painter, sculpture and ceramist. In addition, many people aren’t aware he was also a playwright and poet. His legendary works will be admired for years to come. When Albert Camus won the Nobel Prize in Literature in 1957, we stated in his acceptance speech, “Art obliges the artist not to keep himself apart; it subjects him to the most humble and the most universal truth. That is why true artists scorn nothing.” What a moving and profound quote. Picasso was influenced by numerous artists over this career. This MuCEM exhibition takes attendees on a magical journey through his art. You’ll discover his interests that turned into his work, such as “Jacqueline with Mantilla” with music, “Blue Acrobat” with the circus and “Bull’s Head” and bullfighting. He was inspired by Marie Cuttoli for textiles, Suzanne and Georges Ramié for ceramics and Paco Durrio for woodworking. As a true, iconic artist of the 20th century, Pablo Picasso changed culture. His modern works during that era, drew millions of people into the world of fine art. For art lovers and those curious about the fascinating works of Pablo Picasso, be sure to visit the MuCEM museum in Marseille, France. It will be a VIP experience you will always remember. We can help you plan your trip to Europe and see the Pablo Picasso art exhibition at the MuCEM museum in Marseille, France. Return again to read more art stories in our luxury blog.